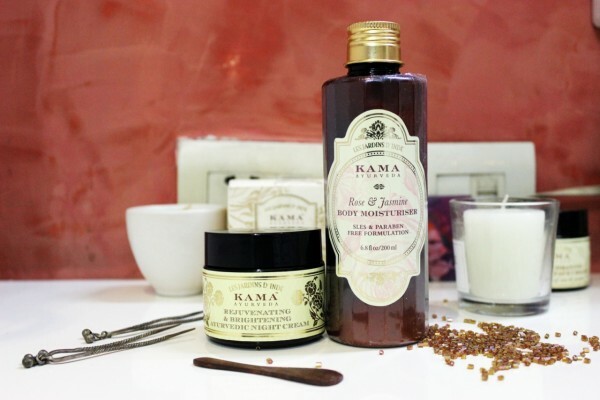 When winter strikes and skin turns dry, what is best than to switch to those moisturizers or creams that leave a long lasting effect on your skin without a touch of oiliness? I have been looking for winter creams, though my skin is not much dry now but still I like to keep my skin moist and glowing. Some of the winter creams tend to moist your face but leave the oiliness as an aftermath making your skin look oily which is not something similar to glowing skin. So girls, it is better to opt for those creams which hydrate and moisten your face without leaving any oily residue. 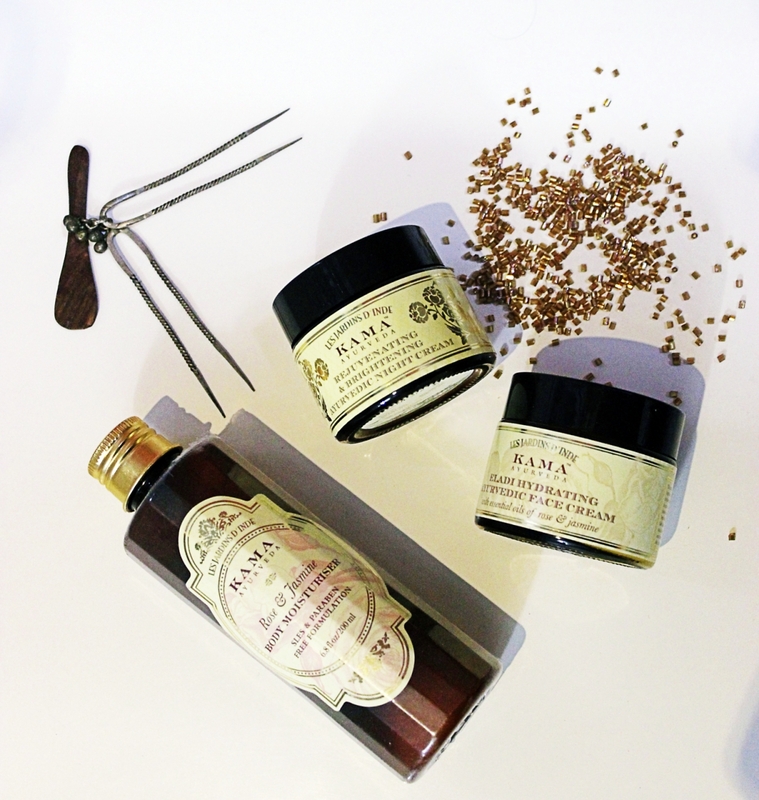 Lately I came across these beauty products from Kama Ayurveda. They have literally proved to be a blessing but surely not in disguise. I tried Eladi Hydrating Ayurvedic Face Cream, Rejuvenating and Brightening Night Cream and, Rose and Jasmine Body Moisturiser. Among the three, let me tell you first about Rejuvenating and Brightening Ayurvedic Night Cream. All these three creams from Kama Ayurveda are little thick and the quantity tends to look less but when you apply it on your skin, you get to know that even small portion is more than enough. They lather onto your skin perfectly. 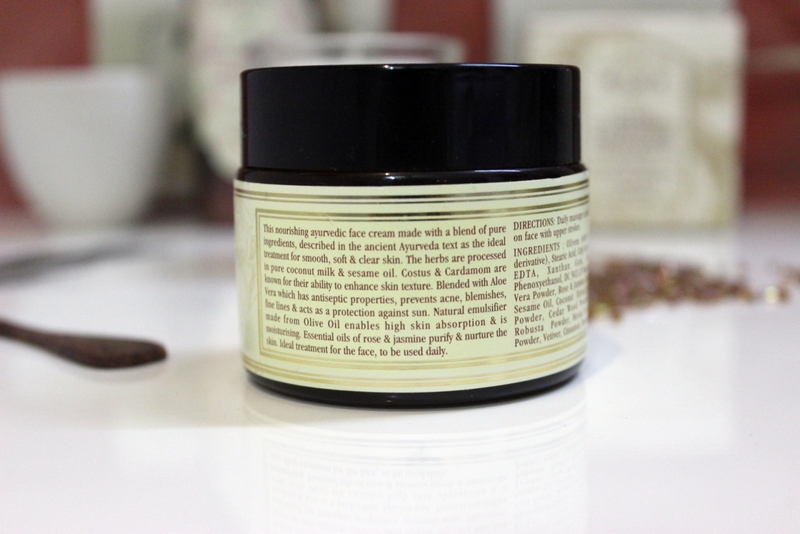 The night cream is a blend of rare ingredients that help in skin illumination and cell growth. It is a blend of finest Saffron from Kashmir that even helps in reducing dark circles. It is an all in one night cream that helps your skin to fight pigmentation, dullness and ageing. It helps to leave your skin hydrated all night long. 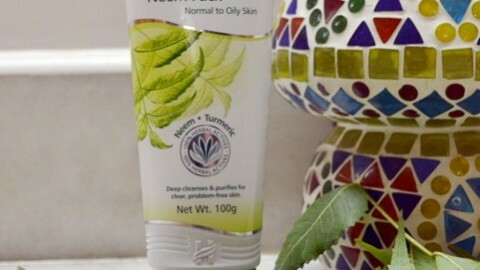 The Rose and Jasmine Body Moisturiser helps to keep your skin hydrated whole day long. 200 ml comes for Rs. 1150 but again as said above the quantity may seem less but the even a small quantity lathers onto your skin perfectly. The fragrance is light and would surely not turn you into a perfume bottle. 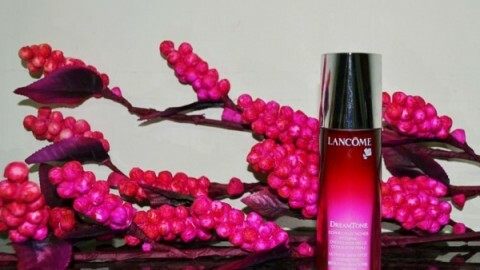 The beetroot and lemon extracts in the lotion act as a natural conditioner to your skin. 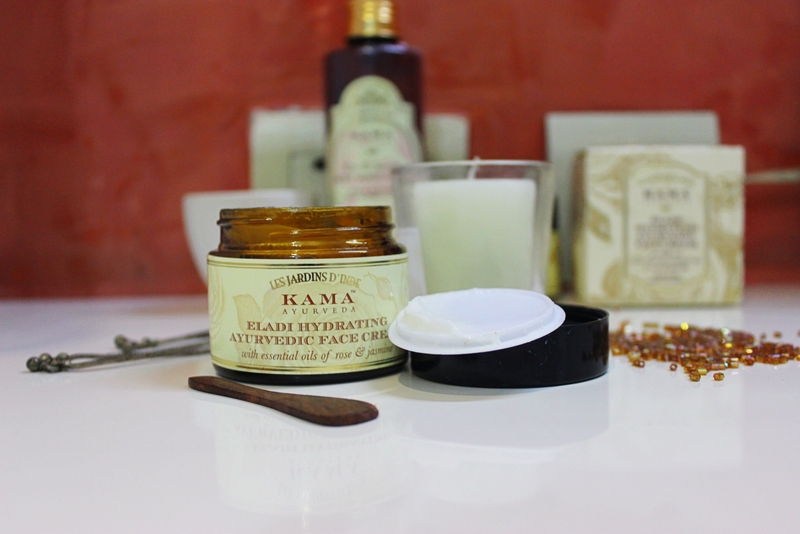 Eladi Face Cream, is something every girl should have in her beauty box. The first thing you will notice about this product is the addictive fragrance. It is so pure and surreal. It is ideal for dry skin but after applying it over a week, I can surely tell you that it gives you a matte touch and feel and hence can even be applied on oily skins. It is perfect for these winter weathers.